Discussion in 'iPad' started by Deamos, May 1, 2010. I did a quick test to see what is triggering the iPad not charging issue. I used my 2009 Macbook Unibody. OS is Snow Leopard and I used the newest VMWare Fusion to test on each OS. From what this sounds like, the charging issue is not a wattage program but is locked to the OS. Anyone else had any other results? Sounds like a software safeguard to prevent roasted USB ports. Possible. I would like to test a bootcamp image but I don't have any OS's set up like that. If anyone has W7 or Linux setup in bootcamp on a charging Mac would like to test and see if it still works, that would be awesome. I wonder if the 12v charger (for the firewire ipod) can charge the iPad? Speaking of charging, Does anyone else notice when using like a Monoprice apple cable the charging takes much longer? When I use the apple branded cable its easily twice as fast. Mine will not charge on my white MacBook (Mid 2007, 2.16 C2D) running Snow Leopard. I did a test to see if the iPad would charge faster using a griffin cable and charger and an Apple one, and I even saw if the Apple charger w/Apple cable was faster than the Apple charger w/griffin cable, and the Apple things were always faster. As for the charging on the computer, my iPad doesn't even charge when plugged into the back of my iMac. I don't know what kind of circumstances are present with your computer but the iPad is only supposed to charge using the wall charger. I got an update that Hypermac is making their batteries deliver the 10W needed by the iPad. Right now the charging is a hit and miss. So I might get their updated version. I don't know what kind of circumstances are present with your computer but the iPad is only supposed to charge using the wall charger. This statement is not correct. The iPad WILL charge using computer's USB ports, but they need to be full powered ports. I can charge just fine using my MBP Unibody 2008 AND my 2007 Aluminum iMac. I cannot get it to charge plugged into my keyboard's USB. It charges really slowly when the screen is on on the iPad, and fairly quick when the screen is powered down. 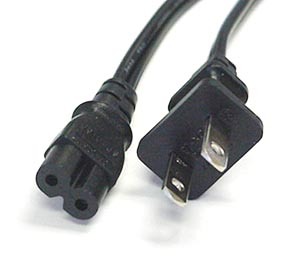 I have noticed, however, that using 3rd party cables results in really slow charging, both off the computers and using the power adapter. It may say "Not Charging", but I bet it is charging. I plug it into my Mac Pro, and it always says Not Charging. However, when I plug it in at night and wake up, it is ALWAYS at 100%. Even if it was at 15% when I plugged it in. "Not Charging" is not always accurate. It probably is charging with your iMac. This is correct. It says "not charging" but is in fact drawing a trickle charge on every USB port I've connected it to. I picked up a 6 foot USB extension cable to bridge from the wall adapter to the iPad cable. Mostly because any appropriate power sources are closer to the floor than I want my iPad. I'm concerned about the sluggish charging I seemed to be getting. Maybe i need to get that stray cable out of my setup. Does Apple make a longer 'official' cable? Can't you just use an extension cord between the charger block and the wall outlet, with the shorter USB cable? That should have no ill effect on the charge rate. USB was not made to carry power and signal over any kind of range, I'm not surprised it drops off. That gives me more than enough cable length without using a different or additional USB cable. Also, the plug stays in the wall socket better and leaves more room for other wall warts etc. If you don't have a figure 8 cable around (like from that old VCR or DVD player that you tossed out two years ago) then I am sure they are cheap on eBay. same here... I notice this yesterday as well.... I plugged it into my Mac pro for a little while to sync and organize apps and it said "not charging" but it definitely did charge.